~ ~ ~Jayne Stamps ~ ~ ~: Stampin' Up! 2012 Holiday Mini Catalog is Here -- and My Digital Studio Special Offer! Stampin' Up! 2012 Holiday Mini Catalog is Here -- and My Digital Studio Special Offer! The Stampin' Up! 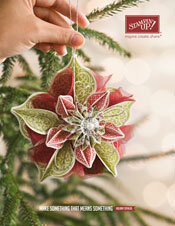 2012 Holiday Mini Catalog is now available! Bundles - Stampin' Up! has bundled matching stamp sets and Framelits - saving you money (15%off)! Watch for several bundles throughout the catalog. Kits - Several cute kits for Halloween, Christmas and Valentine's Day! Suites - Four new suites to fit everyone's holiday needs! Samples - There are so many wonderful samples to inspire you! My Digital Studio Content & Print Products - 31% OFF Digital for 31 Days!! Get 31% off 31 digital content options and most of our print products for all 31 days in August! Feed your My Digital Studio addiction or check it out for the first time. With digital goods on sale and the 30-day FREE trial of the software, August is the perfect time for you to enter the digital designing craze and see what it's all about. ALL cards, photobooks, individual pages, and tags. That's right: print any photobook, board book, swatchbook, individual pages, greeting card, postcard, trifold card, or tag-all for 31% off! Some of our best digital content. 30 downloads and 1 content disc. Yup, that equals 31. You can see which downloads are available on my demonstrator website. August is not only guilt free, but it's risk free too! Try Stampin' Up! 's FREE 30-day Trial and make something cool - then print it for 31% off! Any questions? Just contact me at my e-mail address below!